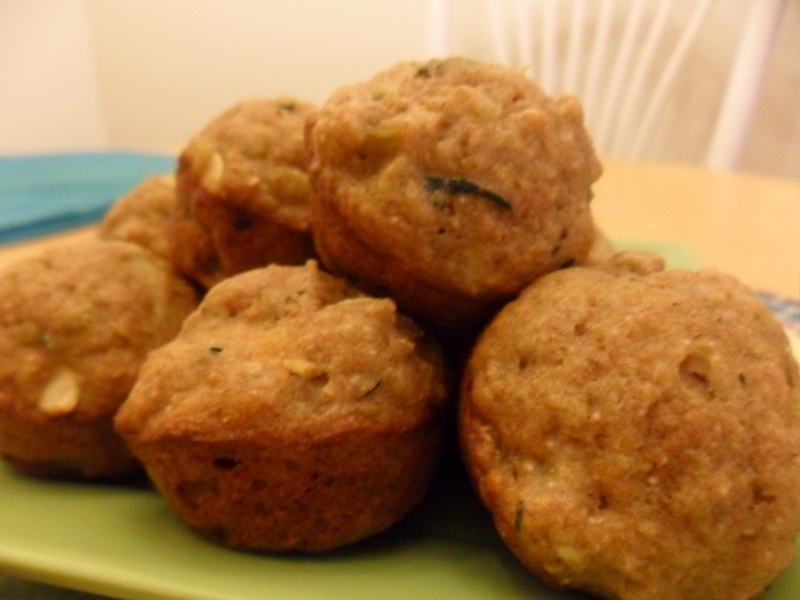 Zucchini bread, otherwise known as Z bread to some, is a delicious treat. The best Z I’ve had came from a good friend of mine last winter. A Miss Angela Walther of Pleasureville, Kentucky, baked each of her friends a gift box full of southern treats right before we all left for Winter Break. They were all too tasty, especially the Z bread, and I loved that she shared with us the best recipes of her culture. I’m not sure what was in Angela’s bread that made it taste so good, but I imagine lots of butter and sugar. I’ve got nothing against those ingredients. I’ll admit they’re tasty. And when a friend offers them to you, of course you enjoy them. But I’ve found a Z bread recipe that rivals Angela’s sweet southern one. 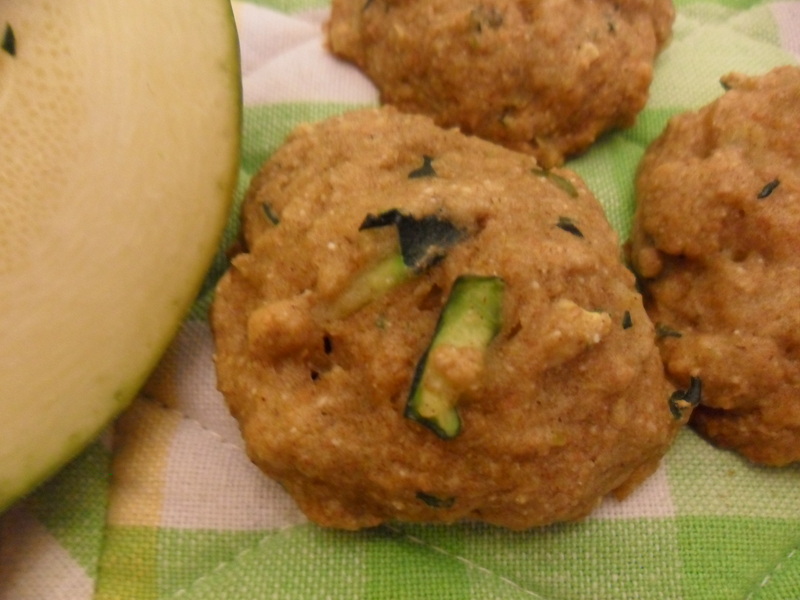 It comes from a mommy blogger committed to clean eating, and I just can’t get enough of it. Makes four good-sized cookies, mini-muffins, or two regular muffins. Preheat oven to 350 degrees. Lightly grease cookie sheet, muffin tin, or small loaf pan (depending on what kind of bread you’d like to make. Make a hole in the center and pour in the egg, oil, honey, and vanilla, but do not overmix. 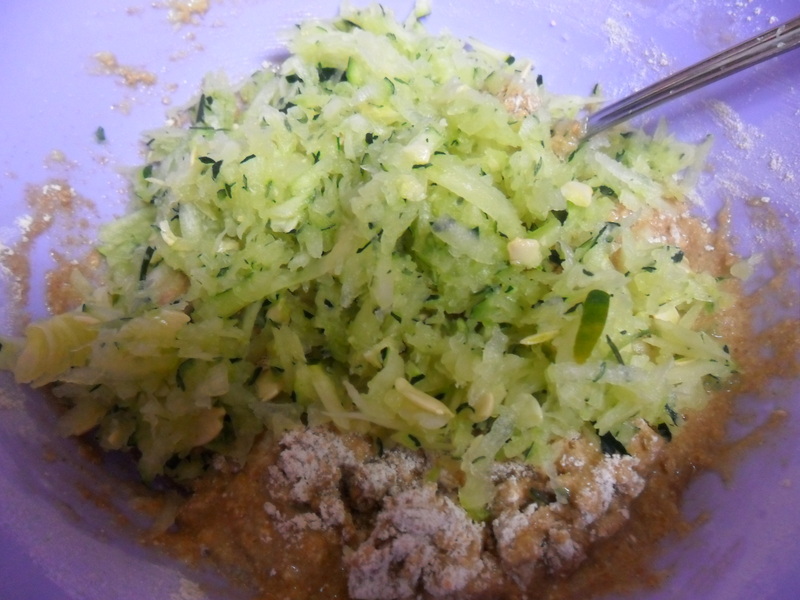 Fold in zucchini (and chopped nuts if using). Pour batter into baking dish or choice and bake until a toothpick comes out clean from the center of the baked good. About 12-15 minutes. 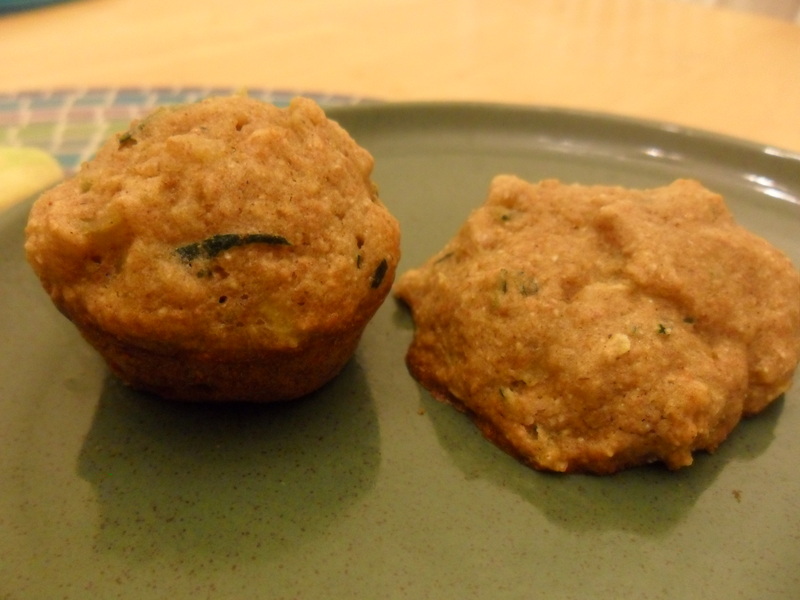 Are you feeling more mini-muffin or cookie-like today? Enjoy each little treat thoroughly. Or if you’d like to save some for later, these will stay fresh in the freezer for quite a long time.